DEAR JERRY: Rather than watch TV reruns, the wife and I decided to pull out a stack of our old 45s and do some reminiscing. As we played “Ahab, the Arab” (Ray Stevens) she asked me two questions, neither of which I know. Help! We listened to it carefully, but still don't know. It could be a ceminol, semintol, or something else. Do you know? Then we hear about Fatima, a hottie in the sultan's harem, lounging in her tent eating a bowl of what sounds like sugar nails. What is it really? Also, I recall long ago hearing a longer version of “Ahab, the Arab” on the radio, with considerably more to the story. Missing from the 45 is when the sultan discovers Ahab with Fatima together. Where does one find the complete song? —Lindy and Joanne Wilcox, York, Pa.
Ahab never left home without his scimitar, which is the curved sword seen in countless Arabian-themed films and photos. Scimitars are even depicted on the Royal Flag, as well as the National Emblem, of Saudi Arabia. Sugar nails sounds like a sweet yet dangerous breakfast cereal, but what Fatima is eating is probably not what you'd want with your morning coffee. She is munching on “a bowl of chitterlings,” which are referred to in some cultures as chitlins. Usually chitterlings are made from the small intestine of a hog; however, in areas where pork is not eaten — including Fatima's homeland — the source of chitterlings is usually lamb. The single of “Ahab, the Arab” (Mercury 71966) runs 2:47, and that is without the most compelling chapter. That would have added another minute to the story. The sultan catches Ahab and Fatima together and isn't happy. The fire in his eyes says Ahab and Fatima are about to be scimitar shish kabob. Using evasive maneuvers, Ahab and Fatima escaped the tent and jumped on Clyde, Ahab's swift and beloved camel. Off they zoomed across the desert, with the sultan and his army in hot pursuit. Turns out Clyde was much too fast for ordinary camels, and they left those who would harm them in their dust, er, sand. Predictably, Ahab and Fatima lived happily ever after. Someone asked if, in today's politically correct world (gag! ), radio stations would play “Ahab, the Arab,” were it just released for the first time. For input on anything involving radio programming, I know of no one more qualified than John Rook (johnrook.com). He is one of America's most honored and respected people at that craft, and co-founder of the Hit Parade Hall of Fame. 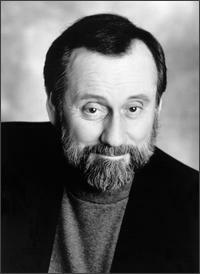 Ray Stevens is widely regarded as one of the most musically talented people ever. He is one of very few who can and does do everything and do it well. He writes most of his songs, which cover nearly every genre. He also arranges and produces sessions for himself and other artists. Primarily a keyboardist, a classically-trained one at that, Ray plays many other instruments when the song requires it. Ray's keyboard artistry is heard on numerous hit records by other artists. He can even use his voice to sound like an instrument. Finally, on some of his tracks that appear to have traditional vocal group backing, it is really Stevens by himself doing all of the supporting vocals! While a good way to reduce session expenses, not many performers can do it. Well, there is this one guy. IZ ZAT SO? As an homage to “Ahab, the Arab,” Ray's third highest ranked single — “Everything Is Beautiful” and “The Streak” both reached No. 1 — he founded a production company called Ahab, and named his own label Clyde Records. Alex Steinweiss, an art director and graphic designer who brought custom artwork to record album covers and invented the first packaging for long-playing records, died last Sunday in Sarasota, Fla. He was 94. 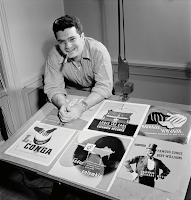 In 1939, Alex Steinweiss was the first art director for Columbia Records, where he introduced a wider application of album covers and cover art. He pitched an idea: Why not replace the standard plain brown wrapper with an eye-catching illustration? The company took a chance, and within months its record sales increased by over 800 per cent. 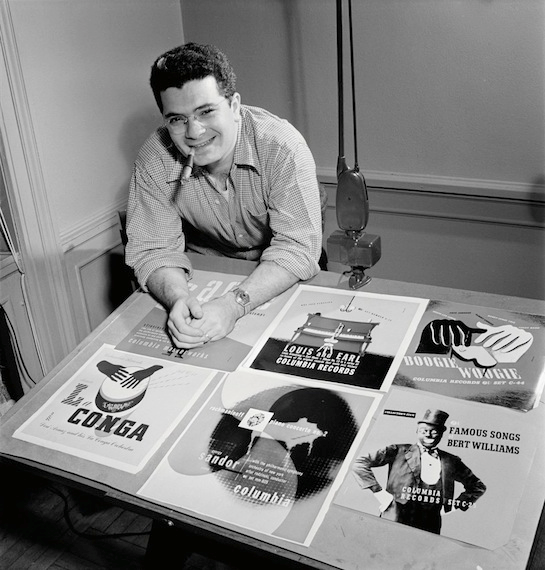 His covers for Columbia combining bold typography with modern, elegant illustrations ”took the industry by storm" and revolutionized the way records were sold. Steinweiss was active in record cover design from 1939 until 1973, when he semi-retired to devote himself to painting. By his own admission, he has designed roughly 2500 covers. As many people can attest to, specially if you are a Generation X’er, I used to buy vinyl records when I was a teenager. Yes, they were fragile, could get scratched easily and if you played them too many times, they would become unusable. But for me, vinyls represent the long form of an artist’s vision. You would listen to each side in its entirety, just like reading a novel, each song had a place in the story, like a chapter. I would specially like to hear my albums late at night, when everyone was asleep, using a pair of huge leather headphones my dad used to own. I would close my eyes and really listen to the music. After years of licensing battles, Spotify, a music service that comes from London and has been available there for a long time, finally launched this week in the U.S. After struggling a bit for an invitation, I was finally let in. And all I can say is that I was like a child again, seeing all my vinyl records in front of me, but this time in digital format. Just when the gramophone record seemed to have lost its battle against time and innovations like the audiocassette and compact discs it has made a welcome comeback. There is a romance in the gramophone, something you still cannot associate with the new gadgets. Satyam Audios has marked the return of the gramophone record in Malayalam with a Long Play (LP) record titled ‘Timeless Melodies Yesudas' that incorporates eight recent film songs by the singer. The first ever `native' recording in India, done professionally by the engineers of the Gramophone Company, England, one of the two major companies in this field during the acoustic era, was in 1902. Two little ‘dancing girls', Soshi Mukhi and Fani Bala, who were associated with the Classic Theatre, were the first Indians to have their voices recorded. Gauhar Jan, an artiste of repute, called the Gramophone Girl and in some of the later records described as the Dancing Girl of Calcutta is considered the first singer to be recorded. Metric put together a limited deluxe version of Fantasies Flashbacks that features 10 7" vinyl singles, digital download codes, and much more. All of the proceeds from the deluxe box set will be donated to the Center for Addiction and Mental Health. •A custom box housing everything listed above. Fantasies Flashbacks is being released on Oct. 11 via Mom + Pop Music Co. 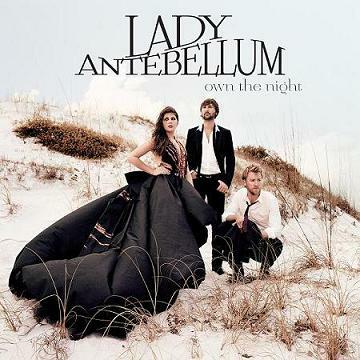 The release of Lady Antebellum's much-anticipated third album 'Own The Night ' will hit stores September 13, but in the meantime, the Grammy-winning trio is excited to unveil a treat for fans...the album cover art! Lady A penned 10 of the 12 tracks on the album, including their fastest rising and current Top 10 single, "Just A Kiss." Collaborating again with veteran producer Paul Worley, Lady A also return as co-producers. "Our only hope and expectation for this record is that it will build on the first two," adds Charles. "At the end of the day, we just want our fans to be able to say that we continue to give them solid albums with solid songs they can enjoy from start to finish." i love heavy metal cover art! 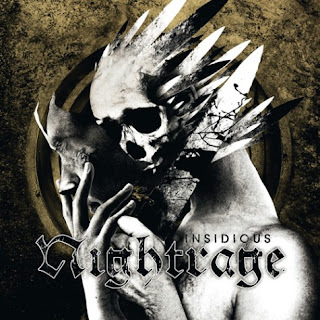 Multi-national thrashers NIGHTRAGE will release their fifth album, "Insidious", on September 27 (one day earlier internationally) via Lifeforce Records. 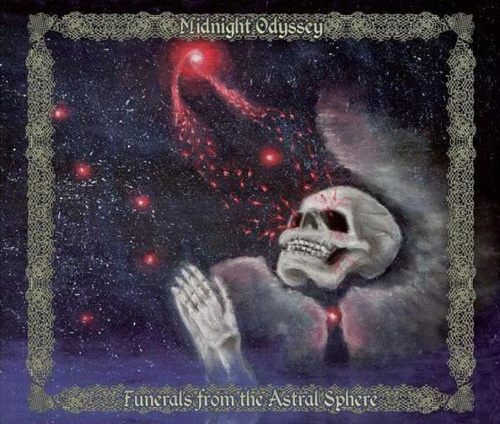 The CD features guest appearances by Gus G. (OZZY OSBOURNE, FIREWIND), Tomas S. Englund (EVERGREY), Apollo Papathanasio (FIREWIND, SPIRITUAL BEGGARS), John K (BIOMECHANICAL) and the band's former frontman Tomas Lindberg (also known for his work with AT THE GATES, THE CROWN and LOCK UP). Lindberg appeared on the band's first two albums — 2003's "Sweet Vengeance" and 2005's "Descent Into Chaos" — before being replaced by Jimmie Strimell, who sang on 2007's "A New Disease Is Born". The "Insidious" cover art was created by Gustavo Sazes (MORBID ANGEL, ARCH ENEMY, FIREWIND, SONIC SYNDICATE, GOD FORBID) of Abstrata Art and cane be seen below. In a pretty extraordinary story, The Local reports that 42 year old Roger Tullgren has been medically diagnosed with a non-substance compulsive disorder that means his addiction to heavy metal often impacts on his social and working life. Three psychologists have now diagnosed the condition, which means that Tullgren is entitled to state benefits - including income support - so that he can attend concerts and indulge other parts of the addiction. 7. Les Demoniaques - Teenage Lust 7"
11. Radiohead - Little By Little remix 12"
15. Natural Child - White Man's Burden 7"
22. Kings Of Leon - Holy Roller Novocain 10"
Billboard's first Music Popularity Chart was published in 1940. The magazine had previously printed best-seller lists submitted by the individual record companies, but the new chart combined the top sellers from all major labels. Their first number one song was "I'll Never Smile Again" by Frank Sinatra and the Tommy Dorsey Orchestra. In 1946, 13 year old Petula Clark made her first appearance on British TV on a BBC variety show called Cabaret Cartoons, which would lead to her being signed to host her own afternoon series titled simply Petula Clark. In 1954, Elvis Presley performed on one what was probably the smallest stage of his career when he appeared on the back of a flatbed truck outside a Memphis drugstore for its grand opening. Elvis was then a member of The Blue Moon Boys trio with Bill Black and Scotty Moore, who took their name from a song they had recorded just two weeks previously, "Blue Moon of Kentucky". In 1963, Jan and Dean's "Surf City" tops Billboard's singles chart just two weeks after its release. The pair had recorded the song in a converted garage underneath their apartment in Bel Air, California. Also in 1963, Lesley Gore released "Judy's Turn To Cry", the follow up to her number one hit, "It's My Party". The record was a continuation of the original story and it too became a Top 5 hit in the US. The Lovin' Spoonful released their first record, "Do You Believe in Magic" in 1965. It will reach #9 on the US Pop chart. Bob Dylan's "Like a Rolling Stone" was released by Columbia Records in 1965. It turns out to be his biggest hit ever, climbing to number two in the US and number four in the UK. In 1968, Iron Butterfly's classic album, "In-A-Gadda-Da-Vida" entered Billboard's Hot 200 chart at #117. It was the band's second LP and contained the 17 minute title track that filled the entire second side of the disc. A shortened, single version of the song only made it to number 30, but the album climbed to number 4 and went on to sell over four million copies in the US alone. A remastered edition was released by Rhino Records in 1995 that contains the single version as well as a live version of "In-A-Gadda-Da-Vida". In 1969, Roy Hamilton, whose version of "Unchained Melody" was the best-selling R&B record of 1955, died of a heart attack at the age of 40. He also scored hits with "Don't Let Go" in 1958 and "You Can Have Her" in 1961. In 1975, Bruce Springsteen & the E-Street Band opened their Born to Run tour in Providence, RI. It was Steve Van Zandt's first live performance with the band. In 1976, the Buzzcocks made their live debut in Manchester, England. In 1978, Steve Martin's novelty tune "King Tut" became a Top Ten hit in the US. Some of the musicians on the track were members of The Nitty Gritty Dirt Band. In 1986, Santana celebrates their 20th anniversary at a concert in San Francisco that features a jam with all previous members of the band. In 1991, EMF went to #1 on the U.S. singles chart with “Unbelievable” it spent 14 weeks on the chart before reaching the top. In 2000, the Evergreen Ballroom in Lacey, Washington was destroyed by a fire. During the ballroom's heyday in the 1950s, ‘60s and ‘70s, many of music's greats played there: Elvis Presley, Johnny Cash, Duke Ellington, Chuck Berry, Little Richard, Ike & Tina Turner and Fats Domino. Glen Campbell had lived in the kitchen at the venue for a while before he became famous. In 2009, Jackson Browne settled his lawsuit against US Senator John McCain and the Republican Party after his 1977 hit "Running On Empty" was used without permission in a 2008 McCain presidential campaign ad that aired on TV and the Internet. McCain and the Republican Party apologized for using the song in the ad and said that McCain himself "had no knowledge of, or involvement in, the creation or distribution of the video."